Esta é a minha peça mais recente. Foi desenhada e cortada manualmente por mim. Um complemento com personalidade para dar um toque diferente ao guarda-roupa na próxima Primavera. Esta peça pertence à colecção de bandoletes que desenhei este ano. Todas são peças únicas: Love, Dreamy, Trefoil. This is my latest creation. Designed and hand cut by me. A whimsical complement to acessorize your outfit in the coming Spring. It belongs to the collection of headbands I've designed during this year. They are all one of a kind: Love, Dreamy, Trefoil. And because today is Saturday, more shopping ideas here. 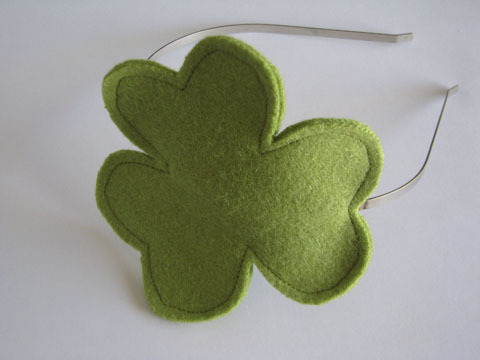 Perfect for St Patricksday (and more!). So lovely. And nice picture too!